People in Ann Arbor and Detroit are excitedly preparing for the second annual Cinetopia International Film Festival, taking place this coming weekend. The festival debuted in Ann Arbor last year. After a successful trial run, it's back this year and it's larger than before. Films will be screened at venues in Ann Arbor and at the Detroit Film Theatre at the Detroit Institute of Arts in Detroit. The festival will be showing 43 films starting Thursday, June 6, and running through Sunday, June 9. 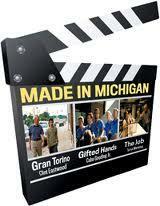 For several of these films, the festival will be their Michigan or Midwest premiere. Film festivals have been popping up like dandelions in southeastern Michigan in recent years, but none has had the potential of Cinetopia in that it is being presented by the region's two premier nonprofit film exhibitors. Film festivals don't just benefit film lovers. The state of Utah estimates the 2012 Sundance Film Festival in Park City brought in $65 million worth of auxiliary business to the state — lodging, restaurants, transportation, etc. The city of Austin, Texas, estimates its 2012 SXSW festival injected more than $190 million into its economy. Russ Collins, the executive director of the Michigan Theater, told Long that last year’s Cinetopia sold 5,000 tickets – far exceeding the 2,500 tickets they expected. Collins estimates that the fest brought in an extra half million dollars to Ann Arbor. Tickets can be purchased online via TicketWeb or at the Michigan Theater Box Office if you are a member of the Michigan Theater. Individual ticket prices are $12 and a voucher booklet of ten tickets is $108. If you have a membership to the Michigan Theater or the Detroit Institute of Arts, single tickets are $12 and a voucher is $81. Passes for the whole festival are also available. Full schedule is available online. State Theater, 233 S. State St.
Angell Hall Auditorium A, 435 S. State St.
Detroit Film Theatre, 5200 Woodward Ave.
Dear Mr. Watterson, a documentary about the reclusive creator of Calvin & Hobbes. Check out the Cinetopia website for more FAQs and festival details. When you think of filmmaking, chances are pretty good that you think of a producer, a director and a cast chosen by that director. But there are a couple of filmmakers in Detroit who are blowing up that traditional model of making films, and in its place have come up with something completely different. How about 40 directors for one film? And they're spread across 23 countries on five continents? Marty Shea is one of the Detroit-based filmmakers doing this "collaborative" movie under the name of "CollabFeature." The following is asummary of a previously recorded interview. To hear the complete segment, click the audio above. 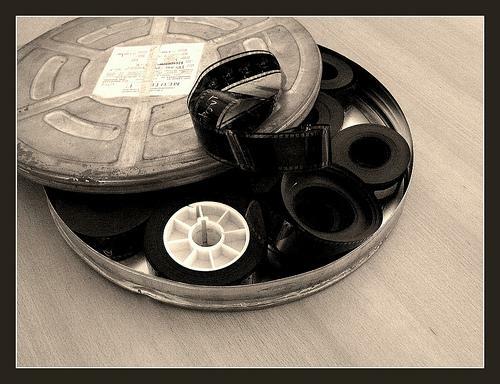 Governor Snyder's proposal to cut the state's film tax credits from $50 million to $25 million has left the Michigan filmmaking community wondering if they can keep their heads above water. The divisive proposal has some lawmakers pledging to fight to maintain the state's current tax credits while others stand by the Governor's and say the incentive takes money away from "must-have" programs such as public safety and education. Michael Zervos of Northville, a Michigan filmmaker, is the head of Mother and Midwife Pictures, and is currently in pre-production for his film "Papou," which employs Michigan actors and will be filmed in Michigan. Michigan Radio's Cynthia Canty spoke with Zervos about his concerns with Governor Snyder's proposal.